This has been an interesting month, I started out just playing around with a filter and the end result reminded me of the artwork in A Scanner Darkly, so when week 2 came around I decided to stick with the movie theme. For this week, I asked for suggestions from my readers. I only received one suggestion and I’m not sure I ended up where they suggested. But that has sort of been the theme of this week as well (ending up in a different place than I thought I would). Julz suggested dark moody 50s glam… like spy thrillers. I wasn’t really sure what she meant so I asked my husband if he might have ideas about what she might mean. He thought perhaps James Bond films. Once I started looking it up, James Bond was actually the 60s. But really all I needed was a seed, and Julz gave me that seed. I did a Google Image search for 50s glam, 50s spy thrillers, Bond, 60s glam, 60s movie posters… and eventually I started to notice a theme… and I decided to run with it. Do you see it? There seems to be this strange fascination with this shade of yellow and red. I don’t quite understand it, but I guess it was the color scheme of the times. Dr. No (James Bond) came out in 1962. Attack of the 50ft. Woman came out in 1958. The Magnificent Seven came out in 1960. 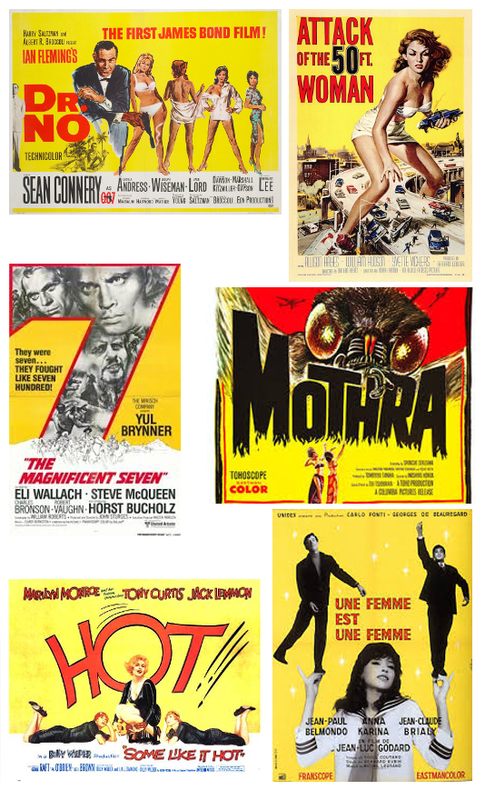 Mothra came out in 1962. Some Like It Hot came out in 1959. Une Femme est Une Femme came out in 1961. All of these movie posters came out between 1958 and 1962. 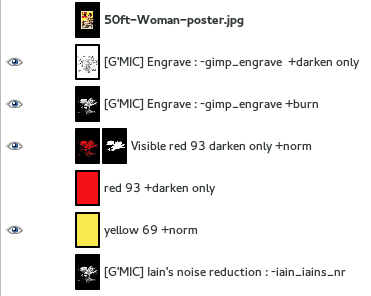 And even though they are all from different genres the yellow background with red and black accents is in all of them. This shade of yellow and red, and some black too. 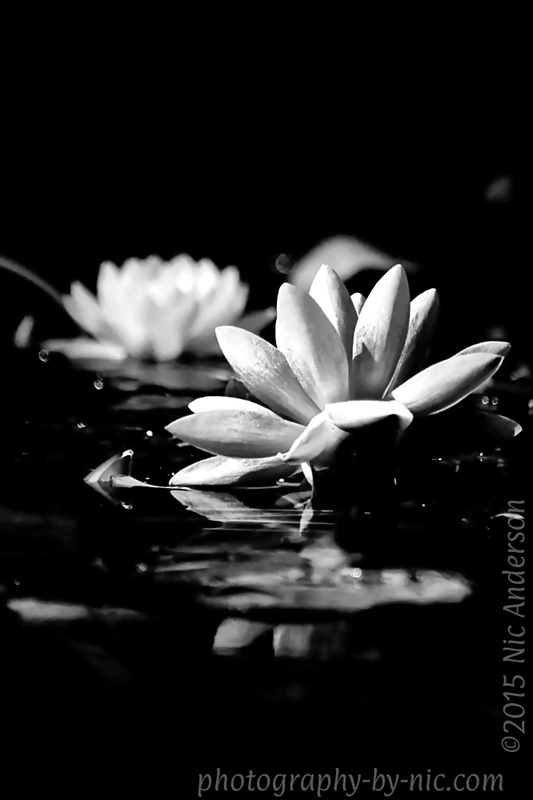 Kind thoughts and comments are welcome. Start out with a black and white image like last week’s Film Noir image (with noise reduced). I added the 50ft woman poster as a layer [File->Open as Layers] so that I could sample the colors using the color picker tool . 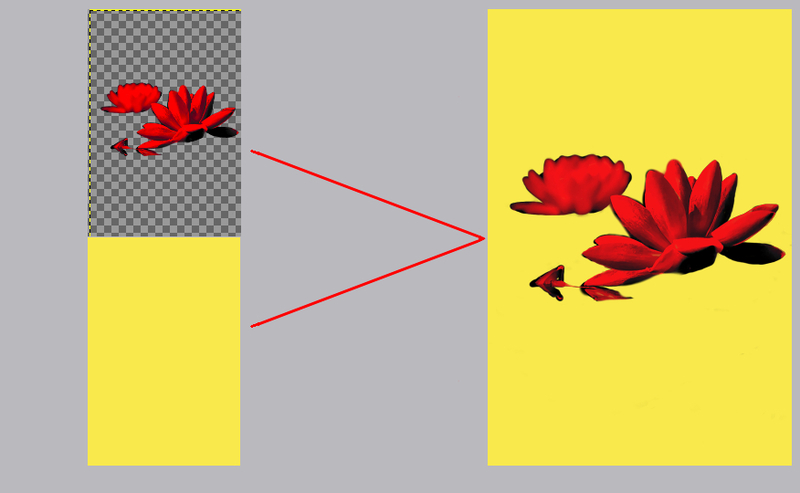 Create a transparent layer [Layer->New Layer->Transparency] then fill it with the yellow [Edit->Fill with FG Color]. I created another transparent layer and filled it with the red. 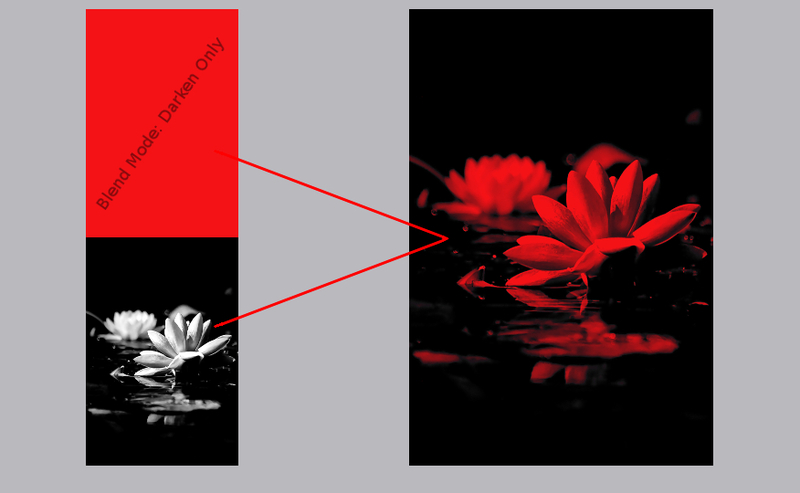 Make sure that the red layer is above the Film Noir layer, then change the blend mode to Darken Only. Next, create a New layer from Visible [Layer->New from Visible]. Then I spent some time cleaning up the layer created in step 3… I created a mask [Layer->Mask->Add Layer Mask->White (full opacity)], then copied the Film Noir layer [Click on Film Noir Layer then Ctrl+C] and pasted it onto the mask [Click on mask then Ctrl-V]. You will get a floating pasted layer. You will need to anchor the floating pasted layer by clicking on the anchor icon (it should then appear in the mask). Next, I painted white/black (white reveals, black conceals) on the mask until I had a clean version of just the flowers. 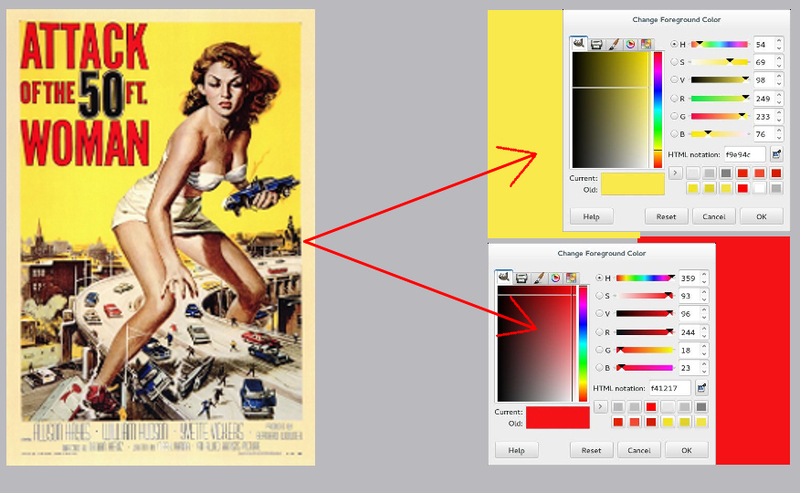 By having the red masked layer above the yellow layer, the colors from the poster have been successfully transferred to the image. Now the fun begins. 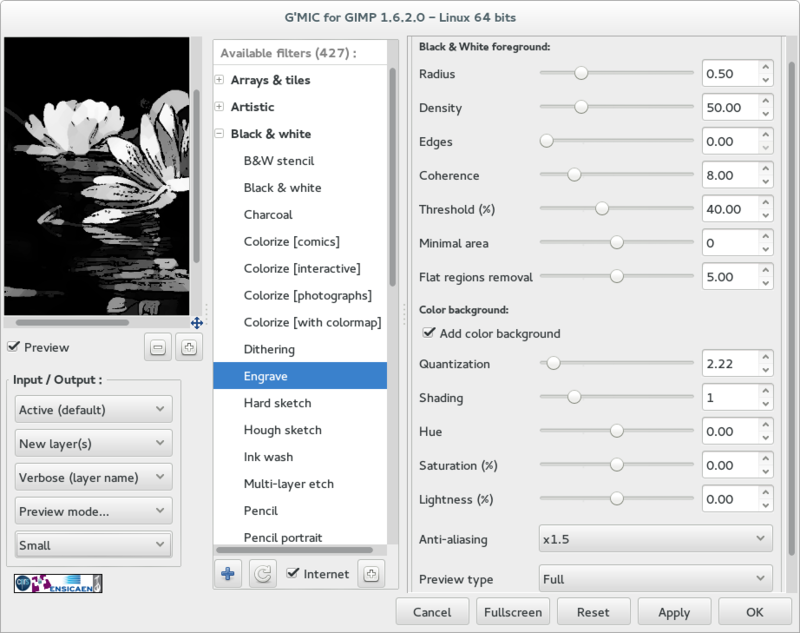 I reduced my image to 1000px long side so that the rendering of the G’MIC filter wouldn’t take forever. I selected the Film Noir layer then ran the G’MIC** Engrave filter [Filters->GMIC->Black & White->Engrave]. This time I played around with increasing the flat regions removal which takes away some of the lines and leaves more white space. Make sure you check the Add color background box. 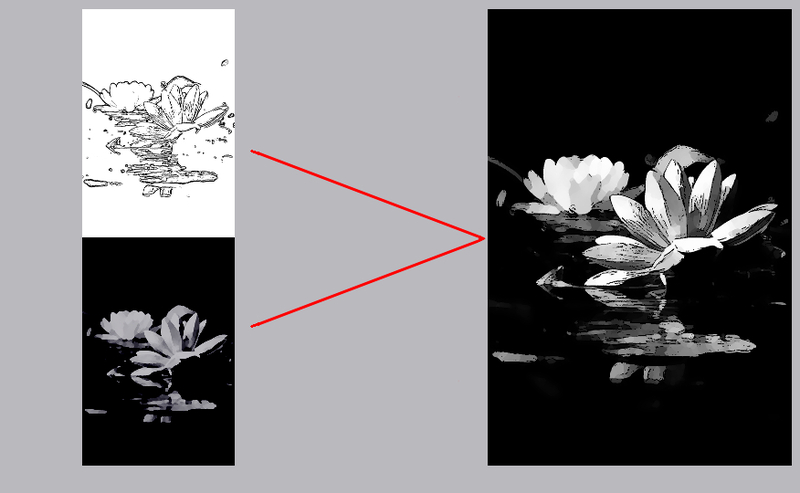 You will get two layers, a sketch layer and a color layer (I used a black and white image – so mine is shades of grey). The sketch layer will be set to darken only blend mode which will allow it to lay over any layer below it. 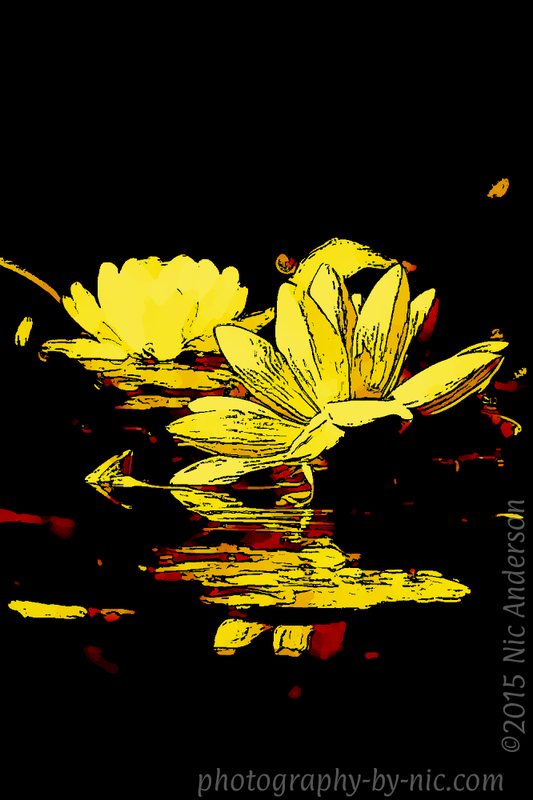 When I just put the sketch layer over my yellow and red layers I got something interesting. But when I also added the color (grey) layer and changed the blend mode to Burn…. I got something amazing. 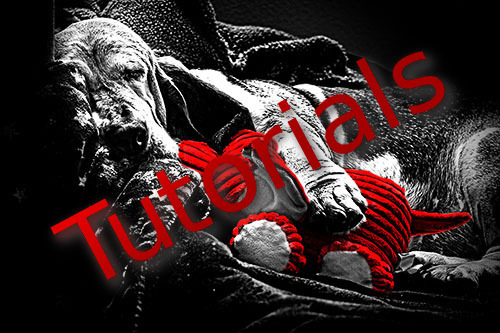 I hope you try out this tutorial (or parts of it), I’d love to hear if you do and how you did. 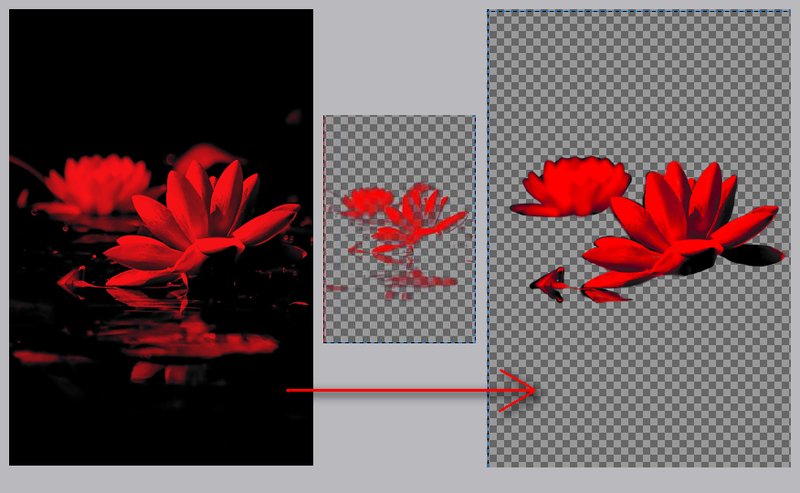 ** G’MIC is a plug-in for GIMP that has many useful filters that I use in my tutorials often. You can download it for free here. This entry was posted in gimp, one four challenge, operation badass, tutorial and tagged natural light photography, nature, nature photography, one four challenge, photography, post processing. Bookmark the permalink. 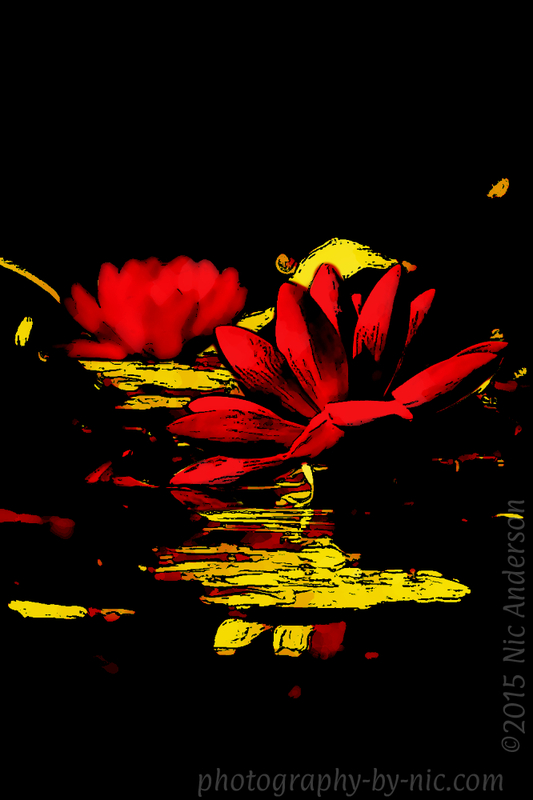 This is a really different take on waterlilies – love the red/yellow drama! Nic you had the best month and I have to say I think it’s my all time favourite of your One Four months so far. I LOVE what you did again this time around and your inspiration from Julz and Film is fabulous!! Really fabulous! Red and Yellow are harmonious hues and their harmony seems to negate any ‘over the top-ness’ created by such vivid colours. It’s wonderful!! The final week does look like one of those posters and the limited colours also make me feel like I’m looking at a Printmaker’s print. Again, fantastic! You really made quite a discovery here. I did vote for week 2. That was my wow week. I LOVE all of these – couldn’t possibly choose because each is so suited to your goal. Great fun. Great job. Hi Nic – wow perfect finish! Love the red and yellow! And Thanks for the tutorial too – will try this out. I loved it. I was thinking hi key…low key. Greta garbo, strong shadows. The other things was like you know the bleached colors in Spencer tracey PI Stuff?